The Vilcek Foundation - Happy birthday, America! This year’s campaign spotlights a group of 38 honorees, hailing from 29 different countries, who have made exemplary contributions to numerous fields. Counted among them were some familiar names: Guatemalan-born Teddy Cruz, who received the 2018 Vilcek Prize in Architecture; Polish-born Martyna Majok, whose play, queens, was produced at Lincoln Center Theater with support from the Vilcek Foundation; and Nigerian-born Yvonne Orji, who we interviewed in our 2015 newsletter highlighting immigrants in television. 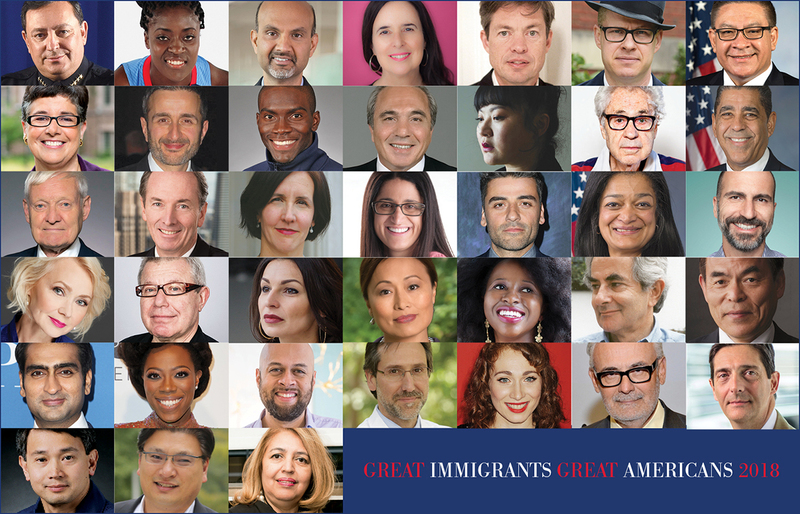 They join a group of over 500 immigrants—working in fields as varied as government, arts, sports, STEM, finance, and more—who have been recognized since the campaign began in 2006. The initiative was established to commemorate the organization’s founder, Andrew Carnegie, an immigrant from Scotland who believed strongly in immigration and citizenship, and to complement Carnegie Corporation’s Strengthening Democracy programs, which works toward civic integration of immigrants through naturalization and nonpartisan voter registration. The Carnegie Corporation will announce all 38 honorees in a full-page ad in the New York Times on Independence Day. In the meantime, you can read about them on their website. Congratulations to Teddy, Martyna, and Yvonne! We salute you and all the other Great Immigrants of America.